Armani/Amal Restaurant is known for preparing fresh and innovative Indian dishes. These dishes give the authentic taste of India that visitors can savour in splendid settings, as the bistro is stylishly designed and decorated to create a great ambience. Exotic curries and various other specialities of the region can be found on the menu of this restaurant, which are prepared from the traditional ingredients and cooking methods. Fine array of beverages is also available at this eating place, which comprises of alcohol and selected teas. You can relish a memorable dining experience at Armani/Amal Restaurant that is located on the third floor of the famous Armani Hotel in Burj Khalifa, which is the top landmark in Downtown Dubai. Armani/Amal Restaurant is a terrific place to bask in the authentic Indian dishes, as its menu boosts several regional delicacies along with exotic curries and other specialities. There is also a fine beverages list, which includes alcohol and some selected teas as well. From the outdoor seating arrangement of this eatery, guests can take pleasure in the stunning views of Downtown Dubai for instance Dubai Fountain, Burj Khalifa Lake, Burj Park and much more. Musicians play live music at this restaurant, which amuses the guests while dining. In addition to this, visitors can also use the Wi-Fi facility provided at this restaurant. Plus a private dining area is also available at this venue to arrange a private diner. 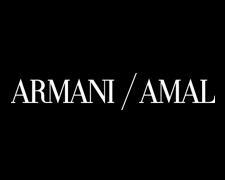 Smoking is also permitted in Armani/Amal Restaurant therefore you will find several smokers at this bistro. This restaurant opens on all days for dinner only and its opening hours are from 7:00 pm till 11:00 pm. Armani Hotel, Burj Khalifa, Sheikh Zayed Road - Dubai - United Arab Emirates. Head southwest from this metro station, before making a sharp left turn towards Emaar Blvd, from where commuters should turn slight right towards Emaar Blvd and then make a sharp left turn towards Emaar Blvd. This will guide them to another sharp right turn that goes onto Emaar Blvd, from where they will turn left and then make a slight right turn. After making this slight turn, commuters will turn left and enter the roundabout that will lead them to the destination, which is located on the right side. Bus number F13 serves Dubai Mall, LG Main Entrance 1 - The Dubai Mall, which is the nearest bus stop to the restaurant. The 900 meters' walking journey will take about 11 minutes, if a bus passenger heads in the northwest direction from this bus stop. 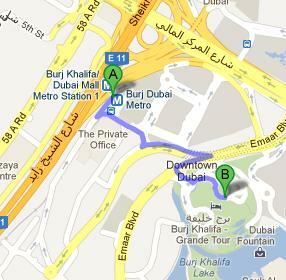 Then turn right towards Emaar Blvd and after that turn left towards Emaar Blvd. Continue straight onto Emaar Blvd, before making a slight left turn that will bring them to another turn on the right side, after which the pedestrian will turn left and then turn right to enter the roundabout, from where destination can be seen on the left side after covering some distance. Follow the directions on map.